ISO Approved Manufacturer & Exporter of Stainless Steel Seamless Boiler Tubes. 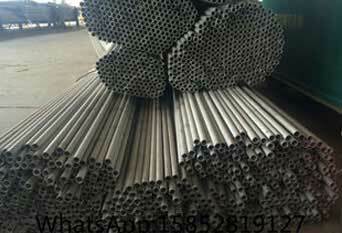 Most Reputed Manufacturer of Stainless Steel Boiler Tube, Steel 321 Boiler Tube, 317L SS Boiler Tubing, Stainless 904L Stainless Steel Boiler Tubes in India. Piyush Steel is a known stockiest and supplier of SS Boiler Tubes, which has some excellent features to offer such as completely tested, cost effective, quality approved and more. These are being manufactured by one of the leading manufacturers by using high grade of basic material that provides them properties like resistance from corrosion and high durability. This Stainless Steel Boiler Tubing with the outside diameter is marked with a label that is attached to the bundle. The ends of these Boiler Tubes are vertical to the longitudinal axis and are without burrs. It takes a categorical level of quality to manufacture these Boiler Tubes. 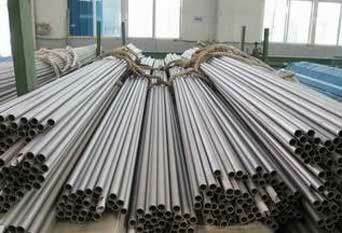 These Boiler Tubes is molybdenum-alloyed steel and is the second most common austenite stainless steel. 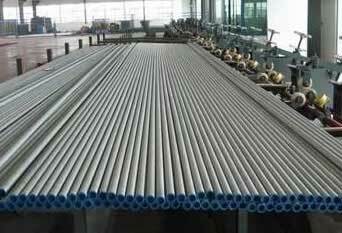 This SS Boiler Seamless Tubing shall be made by the seamless procedure and shall be either cold finished or hot finished, as specified. With respect to our dependable logistic partners, we make sure to give timely and safe delivery of our products. ASME SA213 SS Boiler Tubes, Stainless Steel 304 Welded Boiler Tubes, ASTM A213 Stainless Steel Boiler Tubes, Stainless Seamless Boiler Tubes Supplier in Mumbai, India. 317 Stainless Steel Boiler Tubes, Stainless Steel Boiler Tubing, 304L Stainless Steel Boiler Tubing, ASTM A213 SS 310 Boiler Tubing Dealer, Stainless Steel 316L Boiler Tube Exporter in India. These Seamless Boiler Tubes are being manufactured from materials that are quite capable to survive elevated temperatures and soaring pressures. As well recognized as best alloy for the reason that of its composition that includes 8 percent of nickel and 18 percent of chromium, it has good welding and forming properties, in addition to strong corrosion strength and resistance. As its name suggests, this type of tubes is often used in the manufacture of boilers and vessels for low pressure applications. We offer these tubes in a wide range of finest material, which are mainly used for Boiler, Heat-Exchanger, General Service & Food-Industrial purposes. 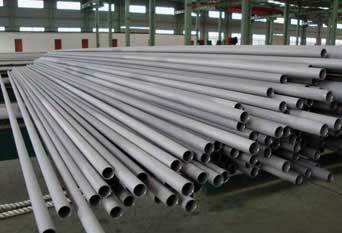 However, Steam Boiler Tubes are used for different general construction and industrial applications. We understand the acute end-use applications and uphold the strictest production procedures and standards essential to meet the precise ASTM / ASME specifications needed for condensers, boilers and heat exchangers. We Supply Stainless Steel 304 / 304L Boiler Tubes of various origin’s and companies like Nippon Steel & Sumitomo Metal, Sandvik, Sanyo Special Steel, Kobe Steel, Schoeller Bleckmann, Salzgitter Mannesmann Stainless Tubes, Tubacex etc. boiler tube material specification pdf, boiler tube material selection, boiler tube thickness, boiler tube supply, boiler tube materials, boiler material specification, boiler material composition, boiler superheater tube material, boiler superheater tube material, boiler tube material composition, boiler tube fabrication, boiler tubes of america, sa178a boiler tube, boiler tubing, boiler tube prices, boiler tube welding, boiler tube material grade, boiler tube size chart, boiler tube material specification, boiler tube thickness measurement procedure, boiler tube minimum wall thickness calculation, standard boiler tube sizes table, boiler tube thickness measuring instrument, boiler tube thickness testing, boiler tube thickness meter, boiler material selection, boiler water tube material.